The restaurant industry is highly competitive and fast-paced, but while you are focusing on keeping ahead of your competitor down the road you probably haven’t realized that there is a much greater threat to your business. According to The University of Florida, over $14 billion was stolen by employees within the retail marketplace throughout the US. That statistic represents an overwhelming figure - on average 43% of a company’s annual loss is due to employee theft. It is believed that around 4% of all Canadian restaurant revenue is lost to in-house theft, and that an overwhelming 35% of restaurants in Canada fail purely because of employee theft. Providing free drinks to friends. Employees who take part in unauthorized drinking. Over-pouring drinks in a bid to increase the tips they receive. Failing to ring in all of the items ordered on the final bill. Stealing alcoholic beverages for their own personal use. Many businesses in a range of industries are steering away from the conventional lock and key security and implementing managed access control solutions. This form of keyless entry will allow your business to limit certain employees access from specific rooms and at specific times. Not only does this remove the vulnerability of your business to lock picking, but it means you can strictly control who goes into which room and at which time. As a result, you will be able to protect high-value items and important assets. If the worst was to happens, and an employee managed to steal from you while you have managed access control, the technologies reporting system would mean you can find out who was in what room at exactly what time. 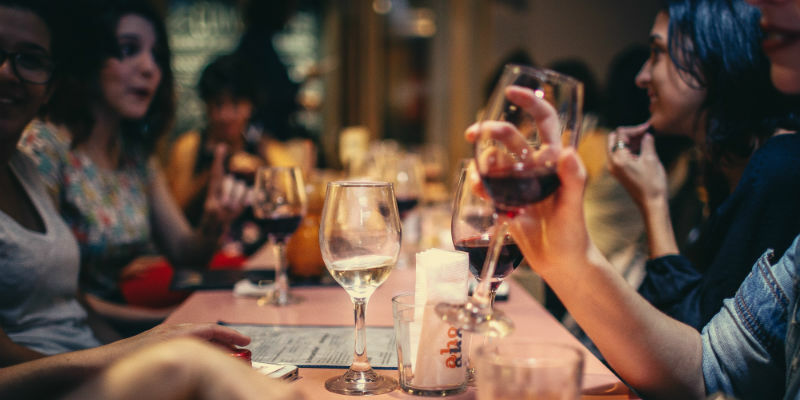 Despite living in a largely cash-free world where customers use debit and credit cards in most situations, the restaurant industry is one of the last sectors that still hold large quantities of cash. This means that implementing a solution that protects your cash is highly important to the operation, and survival, of your business. By selecting a point-of-sale system that features access control, you will be able to significantly reduce the chance of employee theft. A POS will feature a code for users that you trust, and this will help to create a detailed log of which employees opened the register at which time. 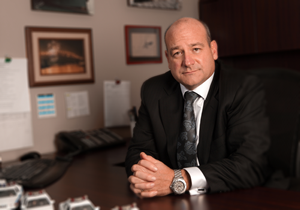 The most important aspect of any business’s security is to install a state-of-the-art audio and visual security system that makes use of verified alarm security. Significantly more secure than conventional CCTV, verified alarms are confirmed by external experts stationed in a central monitoring facility. This means verified alarms have the lowest false alarm rate in the industry and are therefore trusted by the police, who dispatch in just 3-4 minutes to a verified alarm. Installing a verified alarm system both inside and outside of your restaurant will ensure your premises are monitored 24/7, and will protect you against employees coming back to steal from you outside of work hours. 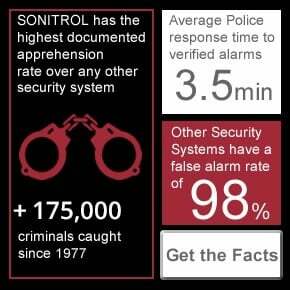 Sonitrol’s verified alarms have helped apprehend more than 175,000 criminals, so we know exactly how to create a security solution that’s tailored for your business. Looking to update your restaurant’s security and want a free security audit? Find out more by contacting us today. We provide our customers with the best commercial security solutions and quality service backed by our unique Guarantee and Commitment to Service. It's something unverified conventional alarm companies simply cannot guarantee!